An empty nest has Ingrid Christiansen dreading the upcoming holidays, but her husband, John, couldn?t be more excited about this new season of life. He even has a surprise trip abroad planned. He?s sure she?ll love it. What?s more romantic than Christmas in Paris? Before he can stop her, however, Ingrid agrees to spearhead a major church project. Then their faithful dog, Butterscotch, needs emergency surgery, draining their savings. And then?because disasters strike in threes?an unexpected guest arrives, dredging up old hurts. As a beautiful blanket of snow transforms the north woods into a winter wonderland, a deep chill settles over John and Ingrid?s marriage. With the holidays fast approaching, their only hope of keeping their love evergreen depends on turning the page on the past and embracing a new chapter of their future. 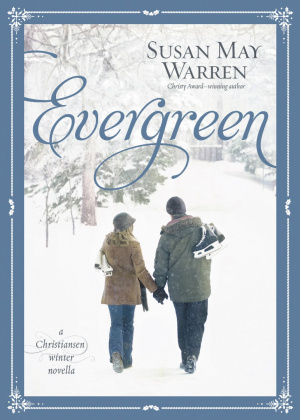 Evergreen by Susan May Warren was published by Tyndale in October 2014 and is our 49460th best seller. The ISBN for Evergreen is 9781414394015. Be the first to review Evergreen! Got a question? No problem! Just click here to ask us about Evergreen.